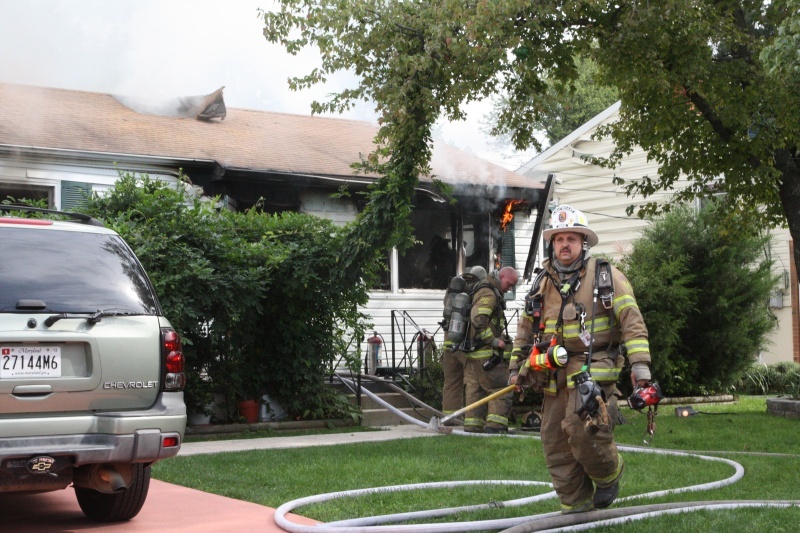 Just before 3:00 pm today Fire/EMS units were alerted to smoke coming from a single family home in Berwyn Heights. Firefighters arrived quickly in the 8800 block of Cunningham Drive and found a 1-story home with heavy smoke showing. 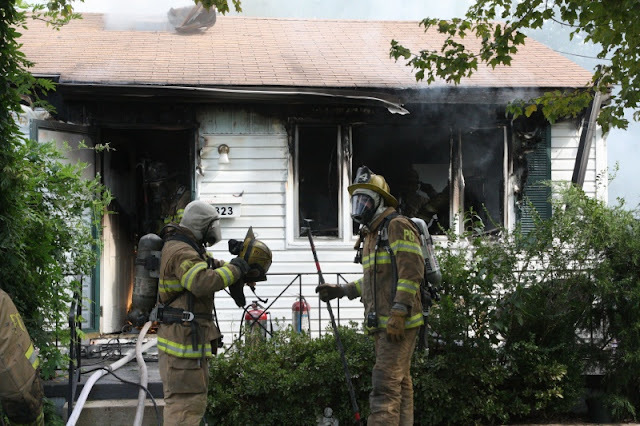 Firefighters initiated a search of the house and quickly determined no one was home. A working fire was located in the kitchen and living room area with extension to most areas of the house. It required about 15 minutes to extinguish the fire. There were no injuries reported. The family, 2 adults and 2 children, will be displaced. They were assisted on the scene by Billy McNeel from the County Citizens Services Unit. They will be making their own living arrangements. The cause of the fire is under investigation and a preliminary fire loss estimate is $100,000 to the structure and contents. At about 12:30 pm today firefighters, paramedics, hazardous material units and University of Maryland (UMD) officials responded to a report of an explosion inside the Chemistry Building on the main campus in College Park. Firefighters from College Park Fire/EMS Station #812 were first alerted to investigate an automatic alarm when dispatchers received calls from the UMD police confirming an explosion with fire and injured students. The assignment was upgraded to a full hazardous materials box alarm with 16 pieces of fire, EMS and Haz-Mat units and about 70 personnel. An experiment was underway during Chem 242 class in a first floor laboratory in Wing #3 of this sprawling 4-story building. Students were conducting an experiment using nitric acid and sulfuric acid. The combination of these 2 acids does not normally cause such a violent reaction, however, when the combined product was introduced into a chemical waste container; a violent chemical reaction occurred causing an explosion with fire. According to the Fire/EMS Department Hazardous Material Team it appears that the chemical waste container played a role in this incident, it is unclear what specific role that is. As many as 11 students were in the lab when the explosion occurred. Two female students in the immediate area of the explosion sustained injuries and were able to escape along with the others. Two facility management employees attempted to extinguish the fire with dry chemical extinguishers and were partially successful in doing so, however, were exposed to the smoke and vapor from the chemical fire. Upon firefighters and paramedics’ arrival, with reports of injured people and an active fire, firefighters made their way to a first floor lab and encountered a small fire in and near the laboratory chemical ventilation hood. 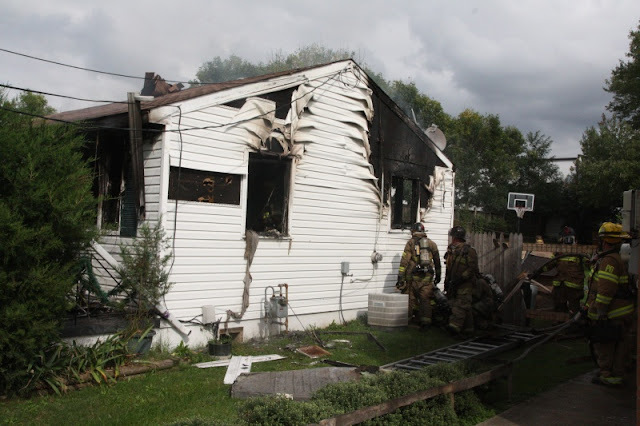 The fire was quickly extinguished and firefighters immediately departed the lab. In the meantime, paramedics located two female students suffering from first and second-degree chemical burns and multiple superficial lacerations about their body. The two students and the 2 UMD employees were de-contaminated on the scene and treated by paramedics on the scene. The students were soon transported to an area Burn Unit for treatment. They were transported in good condition. The UMD employees did not require hospitalization. Hazardous Material personnel, wearing all appropriate personal protective gear, entered the lab and gathered samples of chemicals involved and conducted a visual observation of the damaged area. Personnel applied a product to neutralize the acids thereby mitigating any additional reactions. The majority of damage from the chemical reaction and fire was contained in the laboratory’s chemical hood system. The hood system is designed for safety in situations like this and appears, for the most part, to have done its job. At about 4:00 pm, the Fire/EMS Department Haz-Mat team gave an all clear and turned the building over to UMD Environmental Safety personnel for clean–up and follow-up investigation. All images by Mark E. Brady, PGFD PIO. Firefighters arrived just after 12:30 pm for a report of an explosion and injured students. PGFD Haz-Mat Crew prepare to enter the Chemistry Building. Haz-Mat Team makes their way up to the first floor lab. The laboratory chemical hood system where explosion and fire occurred. Prince George's County Fire Chief Marc Bashoor presented his first "Department Citation" to the Capitol Heights Fire/EMS Station for their participation on February 19, 2011. 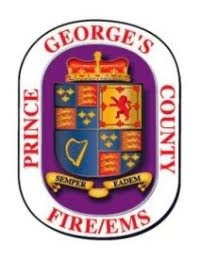 High winds and dry conditions on that day generated the busiest day in the history of the Prince George's County Fire/EMS Department. Chief Bashoor will be presenting the Department Citation Awards to every Station and mutual aid jurisdictions. 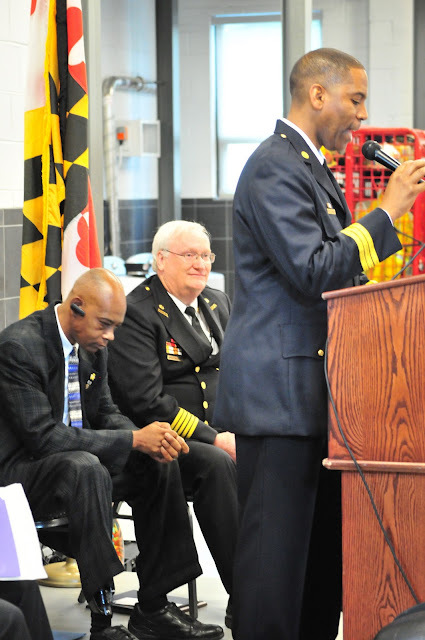 The presentation was made at the ribbon cutting ceremony for the recently renovated Capitol Heights Fire/EMS Station on September 25, 2011. 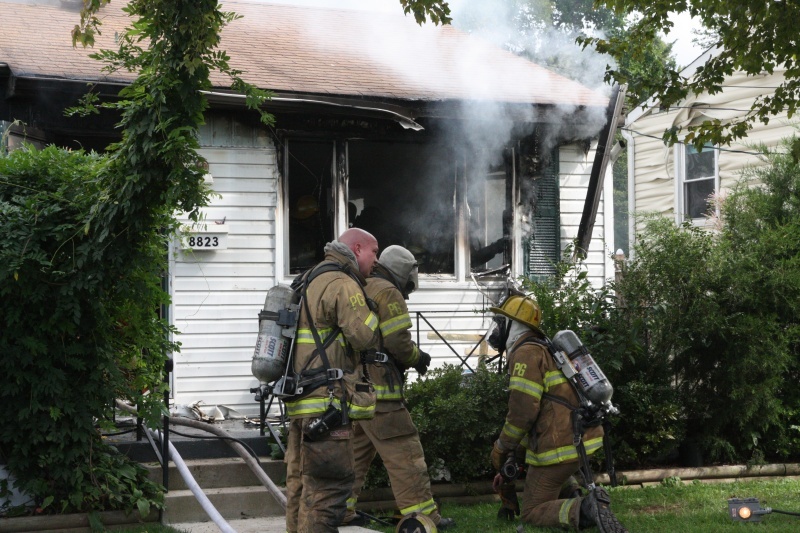 Bashoor also notified Capitol Heights that career firefighters will be returning. Upon the graduation of Career Recruit School #44, scheduled in early November 2011, Firefighter/Medics will start working a daywork schedule, Monday through Friday 7:00 am to 3:00 pm, at Fire/EMS Station #805. Capitol Heights Fire/EMS Station has been an all volunteer station for the past couple of years after career personnel were re-deployed. The renovation of the Capitol Heights Fire/Emergency Medical Services (EMS) Station 805, located at 6061 Old Central Avenue in Capitol Heights, Maryland, was recently completed and was commemorated on Sunday, September 25, 2011. The newly renovated facility includes state-of-the-art features and equipment, which will provide a functional and safe work environment for our firefighters and paramedics, as well as bath and shower facilities to accommodate our increasing number of female personnel. There were a host of civic and community leaders present at the ribbon-cutting and building dedication including; Town Mayor Kito James, Deputy Chief Administrative Officer Barry Stanton, Fire Chief Marc Bashoor. The Capitol Heights Volunteer Fire Department was well represented by their membership including Volunteer Fire Chief Jim McClelland, Sr and President Dwayne Frost Sr. Chief McClelland received special recognition from Fire Chief Marc Bashoor who presneted him with a "Fire Chiefs Award" and by the membership of the Capitol Heights that dedicated the building to him. Capitol Heights Fire/EMS Station 805 is one of forty-five (45) Fire/EMS stations strategically located throughout Prince George’s County. The primary response area for Station 805 is 1.15 square miles; however, the station serves many of the surrounding communities, including: Boulevard Heights, Seat Pleasant, District Heights, Ritchie, Chapel Oaks, Suitland, Largo, and Landover. · Apparatus: The station houses modern fire and EMS resources, including: Engine 805; Engine 805B; and Ambulance 805 (Basic Life Support. · Personnel: Volunteer personnel provide 100% of the staffing. 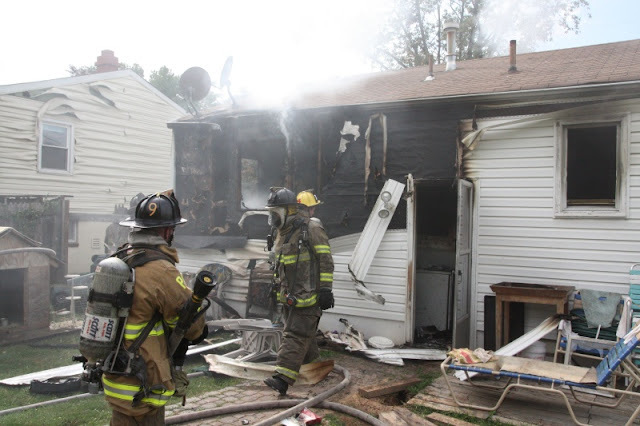 · Call Volume: The annual estimated call volume within the Capitol Heights first due response area is 1450 incidents. · Apparatus Bay: Approximately 3,380 square feet with four (4) apparatus bays. · Training/Meeting Room: Equipped with audiovisual equipment and space to accommodate between 24-46 persons, depending upon room configuration. · Total design and construction costs are approximately $1.9 million, funded with Prince George’s County general obligation bonds. · Alerting System: Equipped with a First-In Fire Station Alerting System, which will reduce response time and firefighter stress. The system technology utilizes Cardiac Kind ramped tones and a human voice to alert personnel, in conjunction with low intensity red light and other visual indicators.